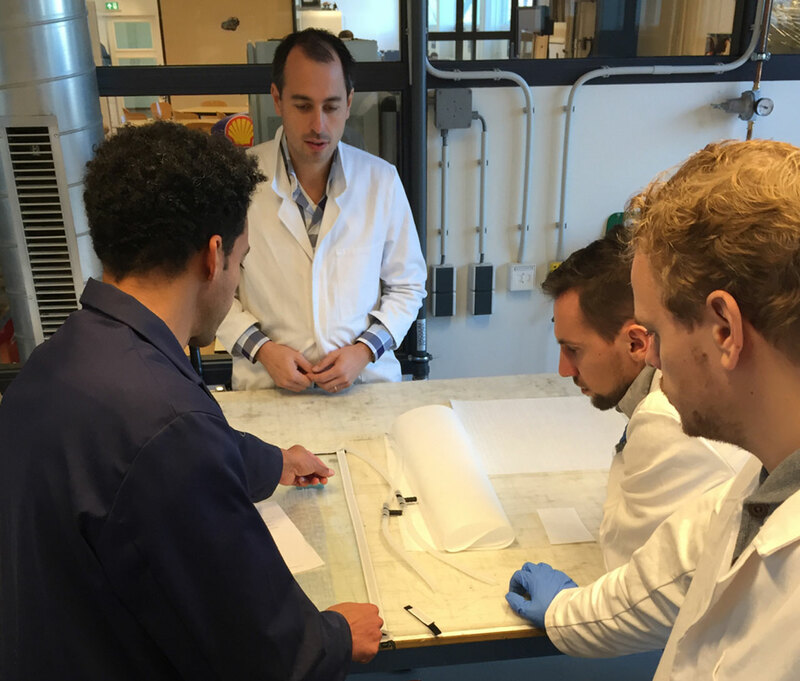 Mark Jacobs (Inholland Aeronautical Engineering alumnus) from Optics11 performed an experiment together with some of his colleagues at Inholland Composites. Optics11 is a fast-growing high-tech company that develops revolutionary remote optical fiber measurement systems for applications in acoustic monitoring, acceleration & strain sensing and more. Their combination of unique interferometry concepts and advanced mechanical transducers (MEMS) provides exceptional characteristics. The underlying shared technology enables their systems to be more sensitive, affordable and have a higher bandwidth compared to existing industry standards. 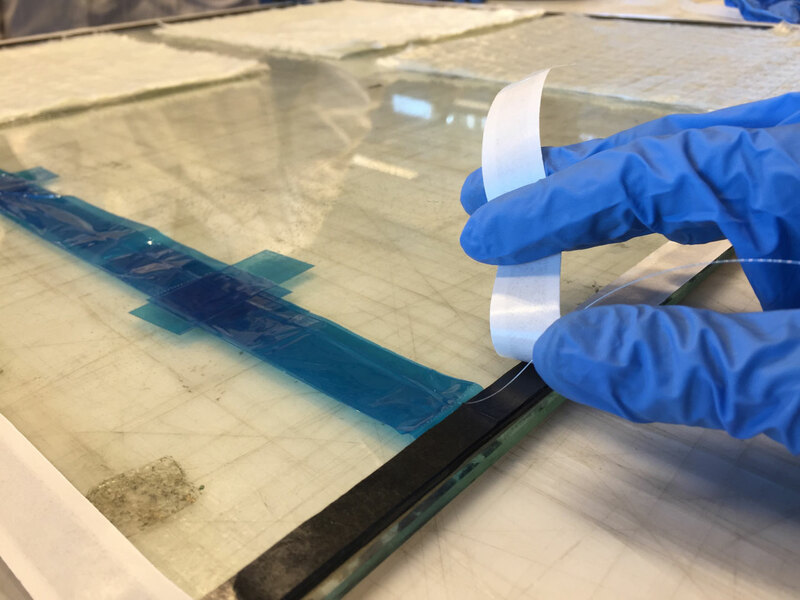 During an informal meeting, initiated by Martin Kampinga, Inholland’s Innovation Director, the suggestion was made to set up an experiment to investigate the production readiness for integrating the fibre sensors in composite laminates using vacuum infusion as a production method. There seem to be many opportunities for structural health monitoring where sensors are part of composite laminates. Consider in this regard the non-conducting electrical benefits of fibre sensors used instead of conventional sensors. The first results are promising, but more research will follow to confirm the viability of this solution.